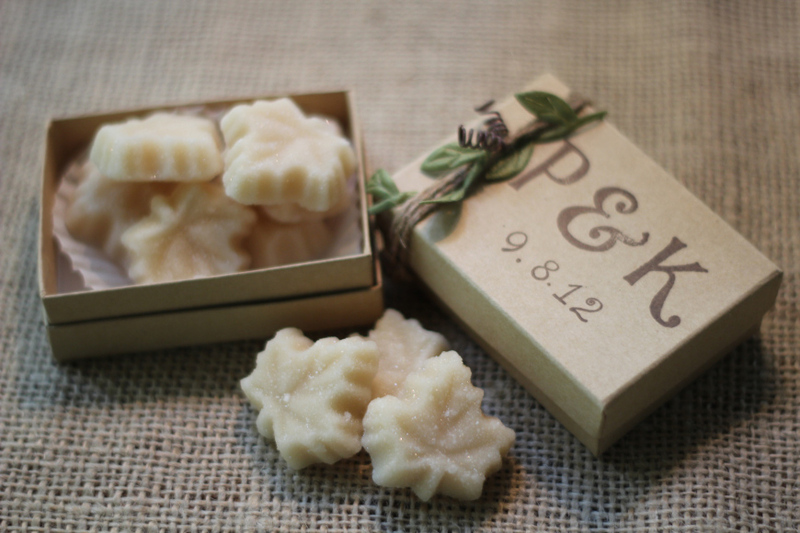 Maple sugar candies are not readily available in everyday stores, so they would definitely be a rare treat for your guests. They are also a local specialty, handmade in the unremitting tradition of the great wooded maple farms of New York State. Due to it’s unique climate and prevalent deciduous forests, New York is naturally perfect for producing some of the purest and most wholesome maple syrup in the whole world. What a way to treat your out-of-town guests to a local confectionary delight! 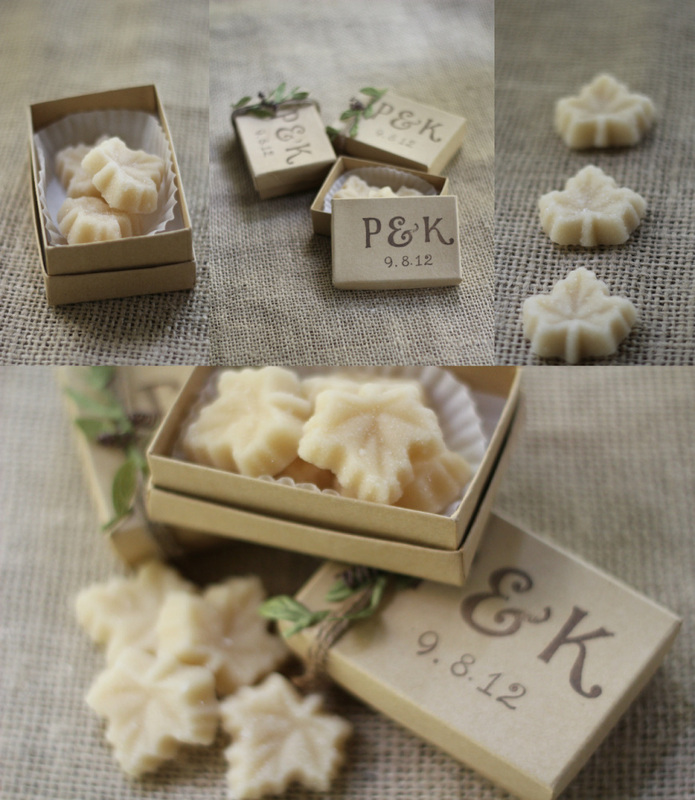 And how cute are these little monogramed boxes!?! It really is the little unforgotten details that make a wedding! You can buy the candy in bulk from Schilling’s Maple Farm in East Aurora, NY. Located at 3200 Four Rod Road -you can contact the farm by phone at 716-983-9842 and email at aschilling001@rochester.rr.com. Click here to find other local maple farms near you.